This is not an historic account to exchange views on, but a Qur'anic verse. To believe in it is faith, to disbelieve in it is atheism. It is stated by Allah Who said "And Whose word can be truer than Allah's?" This Qur'anic verse means that it is the first house set up on earth for all people. Accordingly, it might have been built by the Angels or by Adam (peace be upon him) when he descended to earth. It also means that it was the first house of worship appointed for people after Adam's descent to earth and after the emergence of dwelling and other worshipping houses, and remained so, after. "The first House (for worship) established for mankind was that at Bakkah; full of blessing And of guidance For all the worlds." This contradiction arises from the fact that there were previous dwelling and worshipping houses, and also Prophets and Messengers before the mission of Abraham (peace be upon him). But this can be refuted by saying that those houses, whether for worship or habitation, belonged to individuals or nations or communities. But the building by Abraham (peace be upon him) was the first building specifically appointed for all humanity, and this is poignantly brought out in the Holy Qur'an. 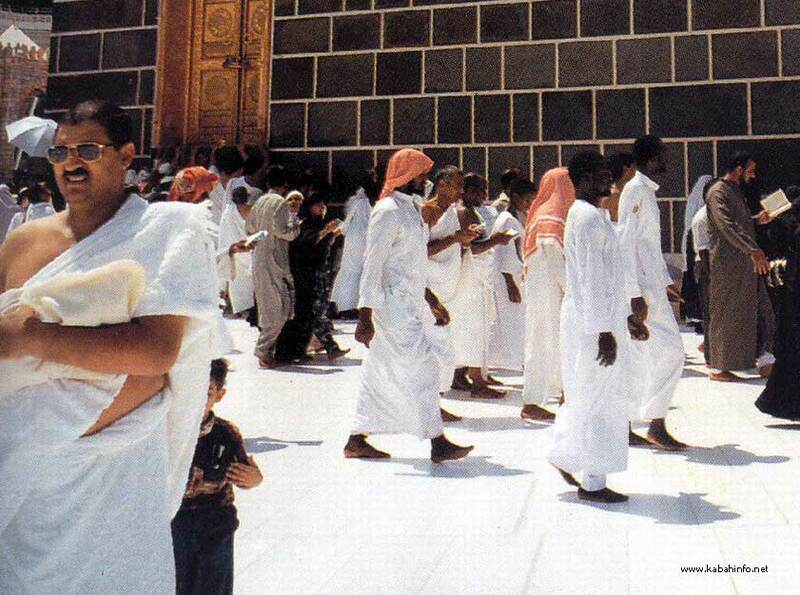 Allah, the Supreme, says: "And proclaim the Pilgrimage among men: they will come to thee on foot". This means that he did not call a particular nation or sect, but he called the whole human race. Secondly, the Qur'anic verse means that the House was built before the mission of Abraham (peace be upon him). It was demolished but its foundations remained. Abraham and his son Ismail (peace be upon them) re-raised the foundations so that the building might appear conspicuous with its walls, as it had been before.